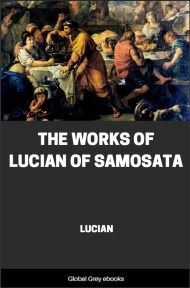 Lucian of Samosata's De Dea Syria, (the Syrian Goddess) is one of the most 'notorious' classical writings. Not only does it acknowledge that at one time a paramount Goddess was worshipped in regions of the Ancient Near East, it goes into details of the practices of her devotees which later generations considered reprehensible. Nonetheless De Dea played an important role in the development of modern Neopaganism. Lucian recounts his personal observations of the worship of the Goddess Atargatis (a form of Isthar or Astarte) at the temple of Hierapolis, in what is today Turkey. 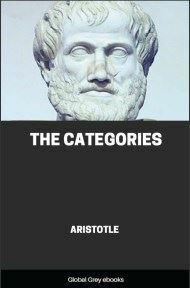 He writes in the style of Herodotus, and, remarkably, in Herodotus' dialect of Greek, which at that time was over five hundred years old. 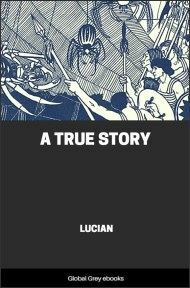 Lucian describes huge phalliform idols, cross-dressing priests who castrated themselves, ritual prostitution of female worshippers, and occasional infant human sacrifice. With extensive footnotes. 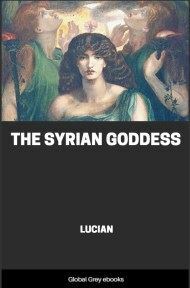 THE SYRIAN GODDESS IN HISTORY AND ART. THE dawn of history in all parts of Western Asia discloses the established worship of a nature-goddess in whom the productive powers of the earth were personified. She is our Mother Earth, known otherwise as the Mother Goddess or Great Mother. Among the Babylonians and northern Semites she was called Ishtar: she is the Ashtoreth of the Bible, and the Astarte of Phœnicia. In Syria her name was ‘Athar, and in Cilicia it had the form of ‘Ate (‘Atheh). At Hierapolis, with which we are primarily concerned, it appears in later Aramaic as Atargatis, a compound of the Syrian and Cilician forms. In Asia Minor, where the influence of the Semitic language did not prevail, her various names have not survived, though it is recorded by a later Greek writer as "Ma" at one of her mountain shrines, and as Agdistis amongst one tribe of the Phrygians and probably at Pessinus. These differences, however, are partly questions of local tongue; for in one way and another there was still a prevailing similarity between the essential attributes and worship of the nature-goddess throughout Western Asia. The "origins" of this worship and its ultimate development are not directly relevant to our present enquiry; but we must make passing allusion to a point of special interest and wide significance. As regards Asia Minor, at least, a theory that explains certain abnormal tendencies in worship and in legend would attribute to the goddess, in the primitive conception of her, the power of self-reproduction, complete in herself, a hypothesis justified by the analogy of beliefs current among certain states of primitive society. However that may be, a male companion is none the less generally associated with her in mythology, even from the earliest historical vision of Ishtar in Babylonia, where he was known as Tammuz. While evidence is wanting to define clearly the original position of this deity in relation to the goddess, the general tendency of myth and legend in the lands of Syria and Asia Minor, with which we are specially concerned, reveals him as her offspring, the fruits of the earth. The basis of the myth was human experience of nature, particularly the death of plant life with the approach of winter and its revival with the spring. In one version accordingly "Adonis" descends for the six winter months to the underworld, until brought back to life through the divine influence of the goddess. 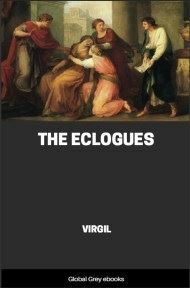 The idea that the youth was the favoured lover of the goddess belongs to a different strain of thought, if indeed it was current in these lands at all in early times. 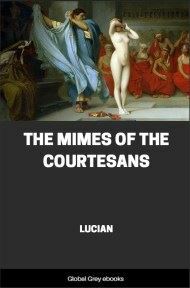 In Asia Minor at any rate the sanctity of the goddess's traditional powers was safeguarded in popular legend by the emasculation of "Attis," and in worship by the actual emasculation of her priesthood, perhaps the most striking feature of her cult. The abnormal and impassioned tendencies of her developed worship would be derived, according to this theory, from the efforts of her worshippers to assist her to bring forth notwithstanding her singleness. However that may be, the mourning for the death of the youthful god, and rejoicing at his return, were invariable features of this worship of nature. It is reasonable to believe that long before the curtain of history was raised over Asia Minor the worship of this goddess and her son had become deep-rooted. There then appeared the Hittites. In relation with Babylonia and Egypt, these peoples had already become known at the close of the third millennium B.C. ; and, to judge from the Biblical accounts, numbers of them had settled here and there throughout Syria and Palestine as early as the days of the patriarchs. Nothing is known of their constitution and organization in these days, however; it is not until their own archives speak that we find them in the fourteenth century B.C. an already established constitutional power, with their capital at Boghaz-Keui. Their sway extended southward into Syria as far as the Lebanon, eastward to the Euphrates, and at times into Mesopotamia, westward as far as Lydia, and probably to the sea coast. Their chief deity was a God omnipotent, the "Lord of Heaven," with lightning in his hand, the controller of storms ruling in the skies, and, hence identified with the sun. At Senjerli, in the north of Syria, he was represented simply with trident and hammer, the emblems of the lightning and the thunder. But a sculpture at Malâtia, on their eastern frontier, shows him standing on the back of a bull, the emblem of creative powers, and bearing upon his shoulder a bow, identifying him with a God of Arms, as was natural amongst warlike tribes, His enshrined image is found carved upon a rocky peak of the Kizil Dagh, a ridge that rises from the southern plains on the central plateau of Asia Minor. In the sanctuary near Boghaz-Keui, clad like their other deities in the Hittite warrior garb, he has assumed a conventional and majestic appearance, bearded, with the lightning emblem in one hand and his sceptre in the other, a prototype of Zeus. The scene of which this sculpture is a part represents the ceremonial marriage of the god with the Great Mother, with the rites and festivities that accompanied the celebration, so far as mural decoration permits of treatment of such a theme. From these sculptures we learn that which is fundamental in the Hittite religion, namely, the recognition of a chief god and goddess, and though doubtless the outcome of the political conditions, the mating of these two deities at the proper season would seem to have been peculiarly natural and appropriate to the old established religion of the land. In this union, moreover, each god preserved its dignity and individuality, each cult maintained its proper ceremonies, yet the pair could be worshipped in common as the divine Father and Mother, the source of all life, human, animal, and vegetable.